You can also click on the “CC” tab and get English subtitles. Well, read the rest for your self. The problem with a lot of conservative Protestant theology is that it tries to nail things down too neatly. And some of those nails won’t hold the weight they’re expected to. April 24, 2011 8:04 am / 1 Comment on Χριστὸς ἀνέστη! We’ll just celebrate it, as we always have, Mr. Warren’s advice notwithstanding. Just in time for for the Feast of the Resurrection! Thomas F. Madden takes aim at Simcha Jacobovici’s idiosyncratic interpretation of the Talpiot tomb — a conceit which, zombie-like, seems to refuse to die despite the best efforts of actual, credible archeologists. The scholarly case on the tomb may be essentially closed, but the sensationalist fantasies are alive and well. After all, Dan Brown, author of The Da Vinci Code, can‚Äôt make all the money, can he? It‚Äôs frustrating, though ‚Äî particularly for scholars who have spent their careers trying to uncover and disseminate the truth. One cheesy documentary, it seems, is worth a thousand good books and journal articles. In time, though, the Lost Tomb of Jesus and its parent, The Da Vinci Code, will fade away, joining the long parade of past pseudo-history fads like Erich Von Daniken‚Äôs Chariot of the Gods? and Immanuel Velikovsky‚Äôs Worlds in Collision. 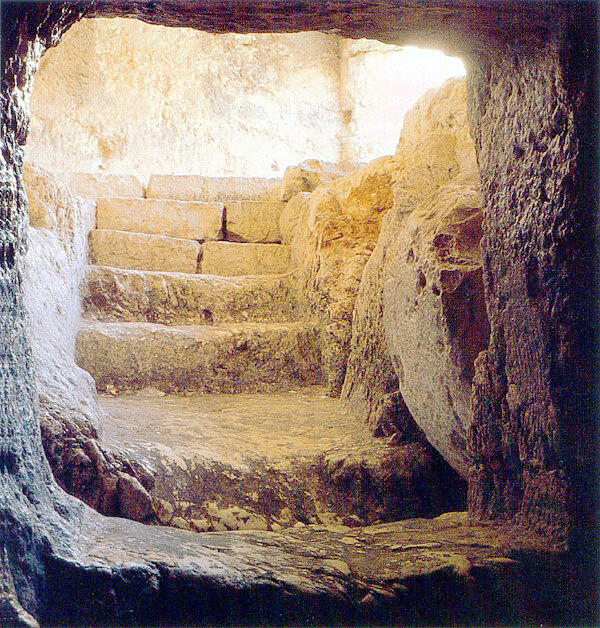 Christians will just have to make due with the Empty Tomb.